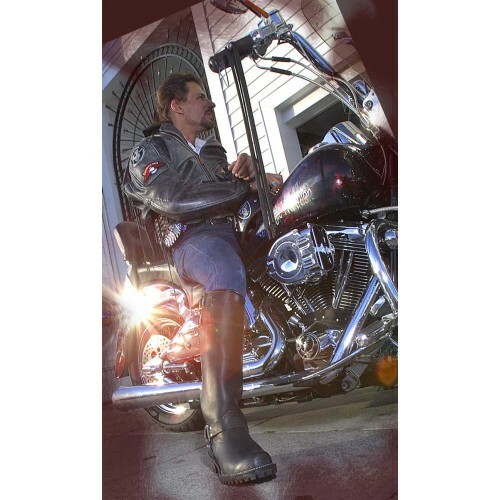 Whether you are a motorcycle enthusiast or just enjoy the feeling of a solid, tall, leather boot, the Wesco 16" Inch Harness Boot in black is an all-around ideal choice for the working person. 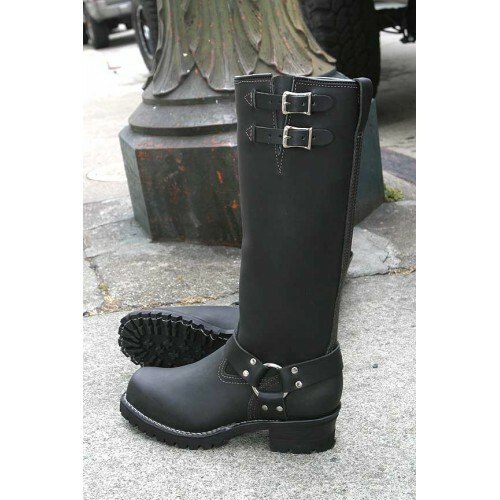 This full leather-lined boot is designed to comfort the length of your calf for maximum support and stability. The leather heel base in this boot means you won't have to worry about your boot giving out on the road or on the job. Two two top-strap buckles allow you some customizability and style as you mold the shaft to your leg. The 16" height is perfect for the worker who needs a little more height to protect their legs as they bring home the bacon. A slightly arched steel shank in the bed stabilizes and prevents structural breakdown of the boot. For the hard toiler or rider, sweat can be a major nuisance for both themselves and the people around them. This boot should ease any concerns in that department as it comes with a full-leather insole that is also sweat resistant. The toe is hard in order to protect from injuries during work as well. Finally, the full-leather midsole means protection for your foot as it absorbs the shocks you take in everyday life, whether they be from riding, working, or just plain walking. The road warrior in you can take comfort in the fact that they also contain PORON inserts, which are designed to absorb shocks to the feet; so don't be afraid to go hard in the dirt with these beautiful Wescos. These boots are designed to ease your worries as they are versatile to fit both your needs on the road and in the workplace. If 16" is too tall for you, feel free to check out this boot in 11 Inches! There is a two to three month production period for these made-to-order Wesco Harness boots.